I can’t take all the credit for this math game, as I adapted it from one we play in Maths club at school. 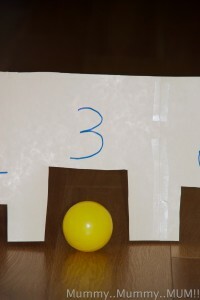 The game in school has 4 tunnels with numbers 1-4 on them, the idea being that you take turns to roll a marble through the tunnel’s adding up the numbers as you go, the winner is the first to 10. We made more than 4 tunnels, used higher numbers and added a ‘minus’ tunnel. Z wanted to play that the winner was the first to 40. 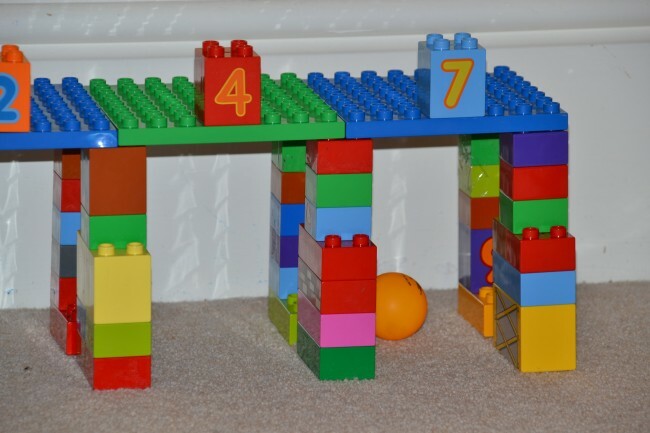 We had to use bigger balls too, as marbles are a bit small for Baby H.
This game has been brilliant for practising mental arithmatic with Z, and number recognition with S.
We also made this fun alternative with DUPLO. That’s genius! I’m going to get daddy onto that later! We’ve just played a much simpler version of that and it’s my 366 today! What a fun way to teach numbers. I have pinned this to do with my little ones some time soon. Thanks so much for sharing at Tuesday Tots! We hope you will join us next week as well! Genius! I’m going to play it with my kids. 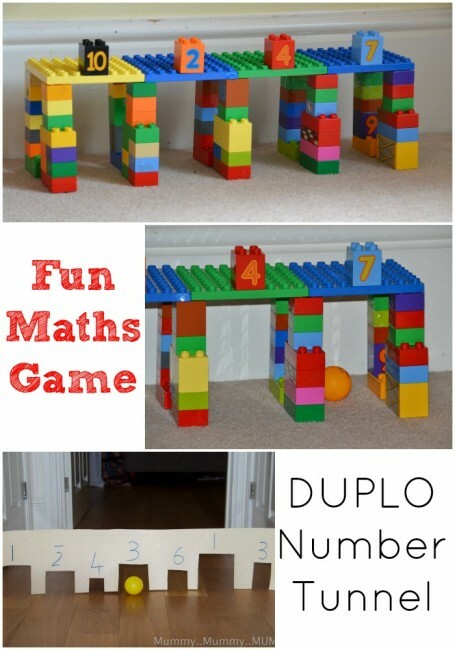 Ohhh J would love this – he won’t be up to the addition but I love that it will help with number recognition and can see it being adapted for letters, colours… ohhh the possibilities! Thank you for linking up with Tuesday Tots and hope that you will link up again next week. Yay, its good isn’t it? What fun! 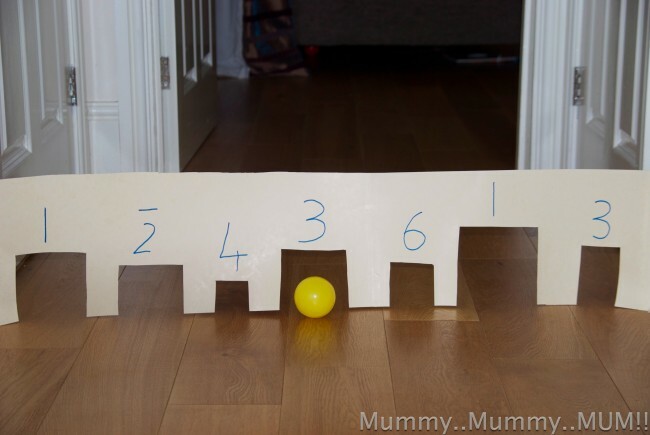 Our littlest boys LOVE balls, so this would be a great way to begin to introduce them to math concepts while they play! Thanks for sharing your idea with this week’s Show and Tell on ABC & 123! Thanks for joining in with the Kids Co-op link-up. L keeps coming to me to tell me what this number and this number make – I think she’ll really enjoying playing this. Thanks for linking to Family Frolics. What a GREAT and fun way to teach numbers! Thanks for linking to Fun Stuff Fridays! Thank you, we had fun! What a fun game!! I love it. Thank you for sharing at Sharing Saturday! I hope you will share with us again this week! Thank you, I’m so glad you like i! A great idea, will be having a go at this and perhaps adapting it for my older children. Thanks for this. Both tunnels look like lots of fun! Math Game helps us to learn math for kids.